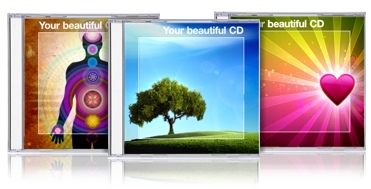 Whether you intend to sell CD’s or MP3 downloads, you’ll need some beautiful graphics to publish. In this article we will show you how to get your hands on really professional imagery for your CD cover or online presentation. There are some very simple time saving and cost saving ideas ahead! 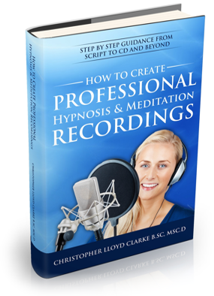 If you have recorded a guided meditation, then you'll need to have some beautiful graphics created for your CD or your MP3 download. For many people, this means contracting the services of a graphic designer. There are so many graphic designers around the world these days that you’ll be spoilt for choice. But with so many to select from, it’s sometimes hard to know who to choose! Imagine that you have just finished recording your guided meditation. You locate a graphic designer and he or she designs your CD cover for you. Now you’ll need to find a company that can duplicate your CD’s, and you’ll need to get your graphic designer to communicate with the duplication company to ensure that the designs meet the duplicators specifications. Hmmm...this is starting to sound a bit troublesome. There are some CD duplication companies that have an in-house graphic design service. Some of them even offer package deals in which they design your CD and then supply you with copies of your CD for a fixed price. So jump on the internet and look for CD duplication companies that also do graphic design. You’ll save yourself a lot of time looking for graphic designers, you’ll only have to deal with one company (rather than two), and you’ll save money by packaging all your needs in one place. For those of you who intend to sell your guided meditation as an MP3 download only (more and more common these days) then you wont have to worry about CD duplication and the above advice will not apply to you. All the same, I recommend searching the internet for graphic designers who specialize in CD designs. Some of them offer excellent rates and fixed price guarantees. Graphic designers usually charge by the hour (although some will offer you a fixed price guarantee on CD designs), so anything you can do to speed up the design process will save you money. With that in mind, most graphic designers would probably prefer it if I didn’t tell you about this next tip...but I’m going to anyway! You're going to have to be able to describe to your graphic designer what you want your CD design to look like. Unfortunately, there is a limit to how much you can really describe with words alone. As a result, one of the hardest and most time consuming tasks that your graphic designer will come up against is the process of creating an initial design that satisfies your requirements. But what if you could SHOW them what you want? Many CD designs begin with a main background image that then has text added to it. Most of the time these background images are NOT created from scratch by your designer. What your graphic designer is more likely to do (especially if you are on a budget) is to visit a website that specializes in royalty free background images. He or she will then download pre-made background images to use in your CD design. Your designer will then add the title to your CD design along with a few other creative touches and then present you with a their work. OK, so I've probably oversimplified this process a bit. Some designers will provide an enormous amount of creative input, some less. Sometimes the design will satisfy you, sometimes it won’t. Try this out. Visit www.123RF.com and do an image search for some words that interest you. For example, try words like "forest" or "spiritual light" or "ocean waves" into the search field at the top of the page. You’ll get all sorts of image results. Now try a few more searches with words that suit the type of design you are looking for. There are literally millions of images to choose from, so keep trying new searches until you find a design (or a few designs) that you like, or that are close to what you want. You can then refer your graphic designer to these images. You’ve just trimmed down the design process considerably. I’ve known people who have saved as much as $250 in graphic design fees just by completing this part of the design process on their own. This process is very "hands on" and is perhaps not for everyone. For some people it’s more fun to just let their graphic designer come up with something original and surprise them. But for others, especially those with a specific design in mind, having access to these stock image sites is a wonderful relief. You can be much more specific about what you want, and you’ll save time and money as well.